How Much Should Photographers Charge In 2016? Latest version: How much should photographers charge in 2018? I write this annual article to help photographers with one of the toughest parts of their job, pricing their work. In the 2016 version, I’m going to add some new elements such as a little advise for photography buyers (found after the state of the industry). Another section I’m most excited about is the question and answer portion at the end. Each year I receive many questions about photography rates in the comments. This year, I address some of the common and interesting follow up questions I have received over the past few years. The 2016 version is the best post on photography pricing so far and I hope you find it valuable. If you are interested in past (and future) years versions, here is a handy list. How much should photographers Charge in 2017? How much should photographers charge in 2015? What should photographers charge in 2014? The photography industry is evolving. There are more types of imagery a photographer can create today than at any other time in history. The future looks like it will contain more creative opportunities for image makers. However, there are more photographers than ever who can do the every day work. This includes your uncle with a smartphone. I am amazed at how many opportunities are still available for photographers, despite the evolution of technology and what it as taken away. If you are creative, work hard and find a little luck, you can become one of the top ten percent earning photographers. These photographers actually make a full time living which can support a family. The other ninety percent, in my estimation, need to combine their talents with other abilities to create a living. There is nothing wrong with not being a pure photographer today. Combining skills helps to keep the creativity alive and allows photographers to stay in the game longer. There is more competition than ever, and more photographers are willing to give up their rights. The respect for copyright continues to diminish. This means, you need to be flexible, but not foolish. There is a reason people and companies want your copyright and you must understand why and protect yourself. If you are a photographer, this section is helpful for you too. Understanding the concerns and perspective of the people who buy photographs makes you a better business person. As with any buying decision, the number one consideration is fear. Fear of making the wrong choice. Photographers are expensive and how do you know if a photographer is right for you? How much should you pay for photography services? The bad news is the range is all over the map. The good news for photo buyers is there is a photographer for your budget, even free. Writing this article as a professional photographer, I don’t recommend hiring free photographers. However, with our saturated market, there are many competent part-time and amateur photographers available. Yet, you must be willing to take on the risk. There is often a reason a photographer is will to work for free or cheap. Why are professional photographers so expensive? The simple answer is most photographers don’t work 40 hours a week photographing. Plus, there is a lot of time involved after the assignment, such as, editing and post production (Photoshop work). A photographer must consider the use of the photograph, production involved to create the image and the expenses of being a photographer. A professional photographer relying on her craft for income is expensive. Photography equipment is not cheap. Cameras, lighting, support equipment and software is upgraded every few years. Professionals must also invest at a high-level in their portfolios, marketing and advertising. Not to mention, the costs of running a studio, crew and business. Still, not every photographer as a full load of over-head expenses or depends on their photography for income. Honestly, there are photographers who love the craft, have talent, but don’t have good business sense. Below is a list of types of common categories of photographers, average rates (local use), and generalizations to help guide you in your quest to find the right photographer. Note that, when you hire a professional, the rate may increase due how you plan to use the photographs. For example, a photograph created for a local newspaper advertisement (local use) does not command the same fee as using the same image for a national billboard campaign. The value of the photo is higher and photographers do charge premiums for more prominent image use. How Much Do Photographers Charge? Hobbyist – Free or (under $100): There are many people who love photography, they have a good eye and like to share their passion. They have a job in another industry, and, most likely, don’t follow many of the best photography business practices, but they can get the job done. Amateur – $25 – $75 per hour: These photographers are like hobbyist, However, they have a little more experience selling their imagery. For instance, they may have a blog or an online portfolio. 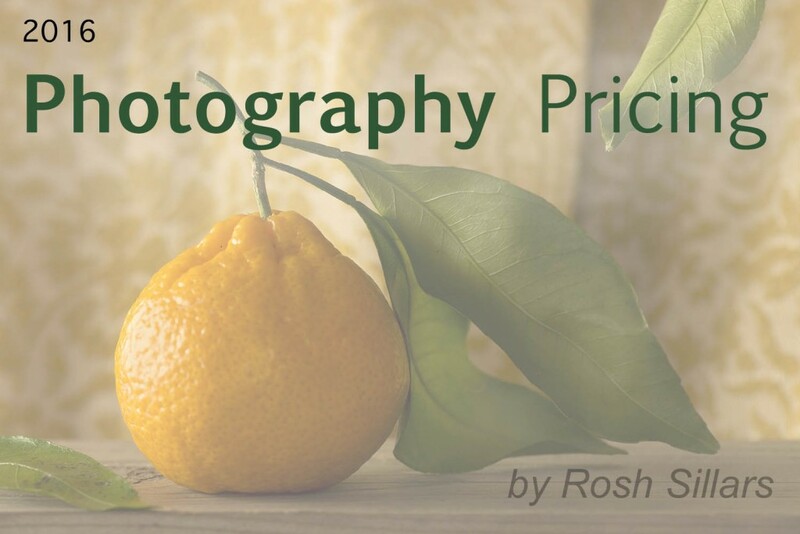 Different types of photography lend themselves to different pricing models. Event photography is generally based on an hourly or day rate. When it comes to commercial photography, some photographers, like me, charge on a per-image or per-project basis. Depending on the photographer, the per-image pricing model is lower risk for the photography buyer, and rewards for the photographer for a job well done. Some photographers charge as little as $25 per photo, while top photographers receive thousands of dollars for a single photograph. I’ve added the average, local use, per-image range moving forward in this list. It’s important to note that per-image pricing adjusts based on production levels and the volume of images produced. Rates also fluctuate depending on location. For example, New York photographers tend to charge more per image than Detroit photographers. Student – $50-100 per hour / $25-100 per image: As with all types of photography, the student rate varies, depending on their photographic discipline, industry experience, and interaction with, or assisting, professionals. Some advanced students do – and should – command as much as professionals. With that said, the photography schools are cranking out a lot of newly pressed photographers and many are trying to earn some income and attempting to get their foot in the door. Semi-Pro $50 – $150 per hour / $25-125 per image: These are photographers who have ambitions to join the ranks of the professional. They may have another job or income source to keep them afloat, but which they aim to leave behind. Sometimes their additional skills are compatible with their photography. Many compete with professional photographers for jobs, but are not quite ready to jump in with both feet. Professional $75-$250 per hour / $75-$250 per image: We can argue that a professional is anyone who is paid at least once for his photography. For the purposes of categorization, a professional is someone who depends on photography to make living. More precisely, professionals who have a solid portfolio to represent their speciality. Top Professional $200-$500+ per hour / $250-$1,500 per image : Is there really a top professional? In any industry, there always will be an élite group. In the case of photographers, some of the top image makers command over $10,000 per day, or $1,500 per image. Should The Buyer Own The Copyright? As soon as a photographer clicks the shutter, she owns a copyrighted image. This is true with anyone who creates a photograph. Even your iPhone selfies fall under the copyright law. The best way to transfer a copyright is in writing. This is because when you pay a photographer to create images for you, the copyright doesn’t automatically transfer with the purchase. Should you own the copyright? This is a big issue in the photography community. In the digital age, many photographers have become lax on the issue. When a photographer gives up his copyright, he loses the opportunity to make future income from the photograph, and, in some cases, forfeits the right to show the images in his portfolio. However, for the photo buyer, the general rule is if you don’t plan to resell the image, there is no need to pay extra to own the photograph copyright. If you do require copyright ownership, photographers often charge another 50%-100% for their work, provided they are willing to sell. For your safety, make sure you have, in writing, what you can use the photographs for, and for how long. Make sure that the photography estimate or contract fits your short- and long-term needs. If you don’t know, you can request unlimited use of the images. Most photographers are willing to negotiate, so assume that she is, and approach the photographer accordingly. If you don’t want your photographs used for stock photography, you may request the images not be reused or sold. Photographers create additional income from their photographs, so there may be a fee for such requests. Different areas of photograph have different average price ranges. Below are a few helpful ranges. Wedding Photography $1,700 – $3,500: Wedding photography has a wide range. Beginners might only charge $500, while top destination pros command well more than $10,000 to get started. Senior Portrait Photography $125-$300: This rate depends on many factors, such as the number of locations, changes of clothes, and reprint package that you chose. Local Website Photography: $25-$150 per image: A small local business can find a photographer in this price range rather easily. The rate depends on many factors listed in this article. The type of photography and production required does play a role in pricing. It’s also more common today for photographers to consider your website traffic in their estimate. I recommend before you hire a photographer on price, take a look at his portfolio, to see if the work that he creates is right for your needs. This rule is true at all levels of photography. It’s also worth noting that a great landscape photographer may not be the best choice for your wedding, or that a food photographer may not produce exactly what you want for your portrait. That is, knowing how to work a camera doesn’t mean that the photographer understands how to create what you desire. Once you narrow down the portfolios of the photographers you like, then make price a consideration. By The Numbers: How Much Should A Photographer Charge? One of the hardest parts of being a photographer is determining how much to charge for your work. If you work from a reasonable starting point, it will not be as difficult as you think. The key is to have a written schedule of prices from which to work, for each and every proposal. This way, you don’t have to re-invent the wheel each time you are called on provide a proposal. It’s not always easy, especially when you face new types of photographic opportunities, but over time, repetition will make this process much smoother, quicker, and easier. While it’s important to be aware of your Cost of Doing Business (CODB), that number represents nothing more than your break even point. When considering what to charge, photographers need to look at the relationship between cost and perceived value. Perceived value can take many forms – from how important the project is to the client to what you bring to the table that adds value. Understanding where you fit in the value chain of the project is key to understanding what to charge and how to sell the client on your services. You can find more advice from photo business and pricing specialist Judy Herrmann here. If you are a beginner or experienced pro, it’s important to review your process and pricing, and make adjustments annually. I, and others, have found this to be a good practice. The photography industry regularly faces disruption and the business landscape continuously changes, so it’s good to check which of your prices you need to increase, and which products or services call for a lower rate. Hopefully, decreasing your pricing is a rare occurrence. However, sometimes it’s the right thing to do. It is important to make sure you are covering your expenses, and meeting your income goals. To figure out how much to charge for your photography, try working backwards, giving yourself a starting point to understand your cost of doing business (CODB). Begin by asking yourself the following questions. How much do I wish to earn in a year? How much are my annual business expenses? How many days will I likely work next year? If you are not established in your field, it’s time for a reality check. The fact is that the average photographer does not make a lot of money. Most photographers make about $30,000 a year. Of course, top photographers can make hundreds of thousands of dollars each year. There are some photographers who top one-million dollars. Like many of the arts, those in the top ten-percent make an excellent living, while the remaining ninety-percent struggle to make a full-time career in their craft. You can get a job as a photographer. The average salary is much higher if you do (statistics). Unfortunately, good jobs are rare. It’s important to know that the salary statistics come from HR reporting, and don’t necessarily represent the industry, as a whole. The average photographer who works for someone else earns about $27 per hour. So why can’t freelancers charge the same rate? The answer is simple. Freelancers don’t work 40 paid hours per week. Their business is such that they are required to buy their own equipment and pay their own expenses. This simply is not a burden placed upon salaried photographers. Many independent photographers come into the business thinking they have low overhead. To stave off getting into an expense-related hole, I recommend you double your estimate of what you expect to be your incurred expenses. Inexperienced photographers often only count the camera they already own, ignoring, or not recognizing the fact that success, by definition, brings expenses. The truth is that your expenses are higher than you think. Take a look at this calculator from NPPA to help gauge your cost of doing business. Don’t forget to add marketing to your estimate. It doesn’t matter if you personally network at events, or use Google AdWords: marketing costs money. A good rule is to spend ten percent of the amount you wish to earn. So, if you plan to make $55,000 next year as a photographer, I recommend you spend at least $5,500 on marketing. I further recommend that you be smart with your marketing budget. For instance, spending your whole $5,500 budget on one industry portfolio book will most likely not produce the results you expect. You need to learn how to create a marketing sales funnel. Remember, most freelance and independent photographers do not work 50 weeks per year. Some photographers, such as wedding photographers, only work on the weekends. An established commercial photographer will shoot, on average, only a few days per week. As they have not yet built their businesses, students coming out of college are lucky to have two or three photography jobs per month. Lets say you wish to make $60,000 next year as a professional photographer. You’ve added up your expenses and it costs you $1,800 a month or $21,600 per year to run your business. Wait! Don’t forget $6,000 for marketing. This increases your total to $27,600 for business expenses annually. Now, add your $60,000 salary to the total and this makes your target photography sales goal $87,600 for the next year. Note: This estimate doesn’t include production expenses, rentals, assistants, crew or location fees. It’s amazing how expensive this business can get! Chances are you will work many partial days. The goal is to make as much money as possible, while you have the opportunity to make money. This is why I like use the per-image model. Hourly and day rates are best used for internal and estimation numbers. Clients have no need or right to see all your line-item expenses. They want to know how much is the photography project is going to cost. Per-image-pricing is a good way to give clients a feeling of control over the project. Just as important, per-image pricing rewards you for a job well done. Let’s assume you plan to earn 50 days worth of assignments over the next year. If you have a more accurate number based on experience, use it instead. Divide the previously-discussed $87,600 by 50 (or your own estimated figure) and you will see that, to meet your goal, you need to generate at least $1,752 each on those 50 days. Divide that number by ten to estimate your hourly rate. In this example, it’s about $175 per hour. That is a big difference from the salary wage of $27. Using the same hours (500) at $27 per hour a photographer will make $13,500 a year. Your work – and you – are worth much more than that. In 2016, per-image pricing makes more sense than day rates. This is because pre-production work, and the time it takes to create a good photograph require much less time than, say 20 years ago. Interestingly, although pre-production time is less, many photographers find post-production work much more time-consuming. Unfortunately, many photographers do not consider post-production time to be part of their pricing system, and, as such, fail to factor in that time. This error can cost the photographer dearly. I’ve created a simple tool to help you calculate quickly how much you may charge per image based on a few criteria. The criteria I used are: production level (How much does it cost to complete assignments? ); the number of photographs to be purchased; and the planned use of those photos. I designed the calculator more for corporate, commercial and advertising photography. However, this doesn’t mean that you can’t find a good combination with this calculator for use with family or retail photography. The calculator also has options to add post or line-item expenses into your per-image price. The calculator does offer different use options, such as amateur and personal use. Some may fairly argue that all pricing should be under the banner of professional. However, the fact is that not everyone is comfortable with that option. My goal is to encourage people to use per-image-pricing because it does help the industry at all levels. Here is my best example of why per-image pricing is better: You receive a call from a company that needs new photographs for its website. They want you to create 10 photographs, to be taken at their location. Let’s say you quote a photography fee of $2,000 per day and $500 for expenses. The total estimate is $2,500. First, you know they will choke at a photographer asking for $2,000 for one day of work. They don’t make that much money, so why should you? Unfortunately, most clients don’t realize that photographers generally don’t work every day, have considerable expenses, and spend a lot of time on editing, managing and performing post-production on the images. Nonetheless, they agree with your rate and you go on site. You do a great job and complete the assignment by 1:00p.m. The client loves the photographs. Yet, there is a problem. They don’t feel they should pay you for a full day considering you finished so early. You can explain that you reserved the day for them and it’s in the contract. This doesn’t matter: No matter what you say, the client feels ripped off. Maybe you did work a full day, efficiently completing 15 images, which is five more photographs than the client requested. Your client is happy, which is wonderful. Sadly, you receive no financial reward for your good work and productivity, if you stick to a day rate. This brings us to the advantages of per-image pricing. Rather than quoting $2,000 for your fee and $500 for expenses, you simply tell the client you will charge $250 per each client-selected photograph. You now place the value on the photograph and not your time. The fact that you finish at 1:00 p.m. is of no consequence to the client and, more importantly, she loves the photos. Everyone is happy and the client sees no reason to adjust your rate. In addition, if you create more wonderful images than expected, the client may buy the extra photographs. This system is one of they ways I stay in business in such a competitive industry. I let prospects know that I’m the low-risk photographer. Prospects are risk-averse, and they often make price the vehicle for lowering the risk of hiring a photographer. I place the risk on myself, and this does not diminish the value of my photography. I let them know if they don’t like any of my images they don’t have to pay for them. However, I suggest that that might be the case with my competition. I have confidence in my photography and I know that in most cases, clients will by more images, not fewer. Yes, sometimes it does happen. I have to expect that if I put the risk on myself, I will sometimes lose. Sometimes an assignment goes wrong; a clients boss doesn’t like the direction, weather issues or a flaky model ruins the assignment. Fortunately, I have the self-confidence to ask if I can reshoot some of the images. If the client is not open to this idea, I move on. The fact is that the time I lost on the assignment was made up a long time ago, by other clients who did purchase additional images. Clients will come back months or even years later asking to purchase photographs from earlier assignments. It always feels like free money. What type of photography is best-served by per-image pricing? I use it for corporate portraits, products, food, architecture, and interior photography. Typically, I ask a higher rate for the first image rate and, then, a lower rate if the client buys more images. This is especially true if they buy more than they initially requested. For example, I may ask $250 for the first image, and $175 for each additional image (local use). Often when I calculate my averages, I’m making a $2,500 to $3,500 per day for my work. That is not bad for Detroit, which is my area of the world. I’ve charged more than $2,000 per image, and made as much as $5,400 for a couple of hours of portrait work (not including post- production). This bring no complaints from the client, because she is in control of the whole process, and is not required to buy any more than her budget allows. Day and hourly rates do work for events, because speed of production is not a factor. You are obligated to be at an event for a pre-determined length of time and can’t get out early for being more efficient. However, I have tested this system for family portraits and weddings with success. If you do use it, be sure that you are going to generate enough of high-quality images that the families will buy. The key to selling per-image pricing is placing the value on the image, not your time. People want lower prices, because it represents lower risk. More importantly, if you show that the client is in control of the budget and using you is the least-risky proposition, you will win new clients. I grant you that some people just want cheap photography. I hear it all the time; photographers tell me their prospects are disrespectful, beat them up on price, insist on day rates and want all the rights. Seriously, why do you want a client like that? Understand, as you seek to build a portfolio of business, you need to be selective. You want to earn quality repeat clients. People looking for the lowest price are almost never loyal. Often, the next time they have a new photography need, they will ask you for concessions or drop you for another photographer whom they can beat up on price. Making this worse, once you establish yourself as the cheap photographer, clients are likely to refer you to others who also will demand low rates. Consider this, as well: when a client really needs a photographer who will deliver high-quality images, do you really think they are going to call on the budget photographer? Don’t kid yourself: his job is on the line, and he will pay top-dollar to a photographer who charges so much you wonder how they stay in business. More than 90% of my business is from per-image pricing contracts. It’s not hard to sell the concept to prospects if you frame it properly. We share the benefits with them: the low risk; we ignore time, and keep working until the job is done to their satisfaction; the client is in control of the budget; I only get paid if I do an awesome job; and they will only go over budget if they feel the value of the additional images are worth their dollars. Most questions have to do per image pricing. Some photographers want to know how much to charge for a specific project and other need help figuring out their cost of doing business. Below are a series common and modified questions I receive in the pricing article comments. Both the questions and answers might help you in your business. Is per-image pricing right for me? If you are a photographer who creates multiple images of different subject, products or environments; I believe this pricing model is for you. It places the value on the image, and not your time. This offers the photographer to earn more income for a job well done. I develop my own standard for the use of my photography. You will have to work out your own rates. I generally have a standard rate for local, regional, national, and international use. A national premium starting point might be $2000. You can also use total distribution numbers to calculate your licensing rates. This is good for web only use. The key is to write your formulas down in one place so you are not guessing and questioning yourself each time. Washington D.C. photographer shares his pricing online and it’s worth a look to get you started. http://johnharrington.com/dc-photographer/site/pricing. I know many photographers feel that it’s dangerous not to run your images through post- processing. However, unless your client is willing to pay for the time to work on the images, they may not use, I don’t recommend this practice. I let clients know they will receive raw images for preview. If I feel it’s important to do “post” as an example, I’ll select a few images to use for comparison. I do this on my time, and not expect the client to pay for it. However, it can help me sell more images, and save some grief down the road. It all depends on the level of post-production needed. I realize it’s a tough fight. However, you might ask why they need to own the images. The only time someone really needs to purchase the copyright from you is when they plan to resell your image. Ask how long they plan to use the images. Chances are, it is only for a year or two. Offer unlimited usage for a year longer than they plan to use the photographs. If they still insist on ownership, request portfolio use from them. For copyright purchase, a typical rate is usually 100% of what you normally charge. So, double your rate and I recommend you place a line item for the copyright transfer. My best recommendation is to develop a rate that you are comfortable with per 10,000, 50,000, or 100,000 page views. The more traffic to the website or page, the more you charge. When shooting for the web, I prefer to charge per image. My licensing is included in the price, and I specify the use in the estimate or contract. Depending on the location, web traffic and space used I’ll charge $200 – $1,500 per image. It is my experience that the average assignment is $300-$500 for a one-time print and web use. What’s your thoughts on travel costs? I usually charge clients via line item if they are outside of my metro area (50km). Travel and prep time is often charged at 50% your normal rate. However, there is nothing wrong with charging 100% of your rate. Hi, brand new to photography and have a chance make a pitch to a couple local hotels. Both are very interested in a panoramic 2 foot by 8 foot. I have an idea about how much I will need to charge for the frame (if they want the image framed) but really don’t have any idea how much to ask for the print. Any guidance you could offer would be AWESOME! Tough question. Many photographers have a standard rate for their framed photographs which ranges from $200 – $10,000 +. Some photographers charge three times the cost of the print and frame and I think that is a good start. How much do you charge for pictures from 9-2am as a dj show photographer for the nightclub? This is a case where per-image-pricing doesn’t work as well, unless the client is asking for ten images to use for marketing or advertising. Since you have to be there during the listed hours, I recommend you charge hourly. A good range to consider is $125-$225 per hour. Thanks for your article and price calculator – it has been helpful. I was wondering what your thoughts are regarding sharing your rates on your website? Some people say that you should not post them but others say that it could earn your potential client’s trust and not waste any time from the beginning. I’m a fan of placing my rates on the website. I think it helps your photographic community and serves to pre-qualify prospects. It gives everyone needed guidance. Personally, I’d rather compete with local photographers charging 10% less than half my rate because they didn’t know where to start. Although, I’ve heard friends say that it places a ceiling on how much you can charge. Personaly, if clients are happy with the prices I post, I’m happy. My question is how would I charge someone asking for a fitness shoot, I am possibly traveling. She asked me how much to charge I’m thinking about the per image pricing but afraid I lose the deal. I’m fairly new to the area so this is pretty big for me at the moment. What do you think? When I’m unsure as to how to price, I will get onto solid ground by asking a client if he has a budget, or, at least, a range. I can’t tell you how many times I’ve been able to double what I thought I would charge, because I asked for, and got, that important information. Keep in mind that, when a client has a budget, he will not be upset that you use most of it. He will however, be steamed if you exceed what he has set aside. If you know the client has a $500 budget and wants three images, charge $165 per image. If it turns out they want more photographs because you did a great job, they know it will cost them a little more. Its it wrong to charge so much money using per image pricing? If you are only photographing once a week is it really so much money? Independent photographers generally don’t work or photograph 40 hours per week. My question relates to the multiple revenue streams that you mention near the end (writing, consulting,etc). Do you roll the costs of those activities into the photography CODB, or do you treat them as separate business units with their own revenue/expenses? It depends on the situation. If it is all wrapped up into a single assignment, I might charge per project, and include all of the elements. In some cases, it makes more sense to line item out design, video, writing etc. What if you must lower prices to compete? Then you are not offering something which merits being priced higher than your competitors. I know that this may seem harsh, since I have to face the same questions regularly. I lose bids to people who charge more and less than my rates. When I lose a bid, I think it is important to ask why. Obviously, if lowering your rate gets you the job, but costs you money, it’s not worth it. Can I ask for these per image prices what sort of usage do you normally include as I find this a big sticking point to many smaller-mid size brands? I use local use, or, in my case, I call it Michigan usage as a starting point. With a system [per-image-pricing] that doesn’t require a client to pay anything upfront, how do you keep the client from canceling on you if there is no deposit? There is nothing wrong with requiring a deposit or a minimum number of purchased images. This is especially true if you have high production costs. Models, stylists, assistants and equipment rental companies don’t care the client didn’t by any images. They must be paid. You can request a minimum payment to cover these expense, when needed. Although I love this per-image pricing strategy, I’m just not sure how well-received it would be within the architectural photography industry where the standard is to pay the photographer a day rate, which generally includes lighting, assistants, and post-production. Clients are used to paying one fee for the “whole package”, plus any additional advertising usages. In this particular case, do you think it would it be considered weird/non-professional to be the only one in my area charging per image? Actually, architectural photography is one of the first areas where I used the per-image pricing system. It’s also where it works best for me. There are some many opportunities to create more images than the client requests. If architect wants ten images for $1500, then charge $150 per image to get the job. I bet they buy more. As far as being weird, that’s great. Stand out from your competition. It is certainly not unprofessional and a common enough practice. I recommend approaching it by saying that, to cover your costs, you require the purchase of a guaranteed number of images. A reasonable person affiliated with a reputable company would understand. The risk is still low for them, and if you do a really good job, they might pay for 20. It happens to me all the time, especially when I do a good job for architects and Interior designers. The issue is overcoming HIS unenlightened thinking about the value and structure of pricing my skills and service as an image creationist. He’s said more than once he wants to create “value” by offering superior imaging, more files, and at lower prices. There are some people you can’t work with fairly. The reason why is that they have no regard for your well-being, or your business. Doing business must be a win-win. Let other photographers go out of business working with unreasonable people. Thank you to Steve Gualtieri for his editing support. It’s your turn. What questions do you have about pricing and this article? 129 Responses to "How Much Should Photographers Charge In 2016?" Unless I’m reading this wrong, I’m a bit confused about how the average sample pricing is coming from based on the hourly rates you posted before that. Unless you’re talking about starting prices? $150-$300 for senior portraits? I paid more than that when I graduated in ’93…back in the film days, and I didn’t even get the biggest package. $150 – $300 is an average starting price or sitting fee. Obviously, the number of prints or size of the package will determine the final price. Just a word here, but ‘back in the film days’ is a clue. Film was much more expensive all around to purchase and process, considering all the chemicals, equipment, space and man hours, with much waste too. Digital makes photography much less expensive in that regard. You need to remember that most photographers had other people process the film and we would line-item out the expense. So, this expense was covered. The photographers time involved was pick up and drop off. Today, we have computers for cameras that need regular updating, computers to process our images;which are expensive and software to keep up to date or subscribe to monthly, in the case of adobe. Now, think about all the time spent in post-production that we didn’t do in the past, that is a lot of hours. Is digital really cheaper? It depends on the photographer. With volume, I can see a good case that digital is cheaper. If you are shooting about once a week, I bet it costs you a lot more today to run your photography business. Subject to the provisions of this section, the person who is the author of a work is the first owner of any copyright in the work. Where an employee makes, in the course of his or her employment, a literary, dramatic, musical, or artistic work, that person’s employer is the first owner of any copyright in the work. that person is the first owner of any copyright in the work. Thanks for sharing for our AU friends. Of course, if you are employed in the US, the employer owns the copyright here too. #3 seems to be a big difference from U.S. Copyright Law? Yes, it is very different. It is very different but all professional associations in NZ (AIPA and NZIPP) suggest having a clause in our contracts that keeps our copyright with us, and is also in the contracts they allow us to use. So as long as we are following standard practice this is not an issue for us. I use a program called fotoQuote. It is very helpful. fotoquote is a fine system. They have been a sponsor for some of my marketing talks. Hi Rosh – I love this system and will be pitching it for a number of projects throughout 2016. Do you ever offer small proof prints for the client’s initial image review process? I happily foresee a handful of employees moving physical prints around a conference table as they make their final selections..but I could be dreaming.. I generally create a preview website through lightroom or Photoshelter and deliver the images through Photoshelter. Unless requested I wouldn’t offer prints. I would charge for such a service. I’m guessing any semi-pro or pro photographer who doesn’t know how much to charge probably won’t be in business much longer. For others, this article was interesting. Hi Rosh, I was wondering if there is a way that I could possibly see an example of one of your invoices. I don’t understand how to format it using the price per image method. Normally, people seem to show production costs, creative fee/date rate, and the licensing fee all laid out. But do you just combine all of those together and basically show nothing other than the price per image and then the total? Thanks. I have a client who wants to buy a image for their web site. The web site is a start up and has not been launched it will be for their private practice. They have offered to attach a link to artist sites from there site as well. I want to use the per image pricing model for this. What do you think would be a fair price? While I cannot give you a specific price, as I don’t know your market or skill level, one of the first things to consider when pricing this is, how unique is your image? Is a similar image available readily from other sources (stock agencies, etc.). I would also look online at what stock agencies charge for this type of usage and the type of image you have. The results may surprise you. I agree. The rarity of the image does play a role for stock. You might ask what their budget is, you never know. The best policy is they pay something rather than free. Your image as value. Rosh, thank you so much for the wonderful information. I have learned more from this article than any other I have reviewed. Thank you John, I appreciate your kind words. Excellent article, Rosh. Good points. Thank you Don, I look forward to chatting more about it with you in the near future. I fall into that amateur/semi-pro range – doing photography on the side as a means of extra money that pays for itself. I started out selling fine art images at local shows, which abviously fits nicely into the per image pricing. I’m starting to do some family and senior pictures, and I’m currently just charging flat rate of $125 for an hour shoot, which ultimately ends up with approx. 30-50 “proofs” and finally 10 or so “final” images, all delivered digitally on a proofing site. The client can then order prints from this site at an additional charge. I feel this works well, and is a price I’m comfortable with right now, and honestly I’m not entrenched into the industry enough to really know the “right” way to do things. I like the idea of the per image price, and wondering how you would apply this to senior and family types of sessions? Is the price per image for simply a digital file, in which they are free to take and print? is it a print of a particular size? Or maybe a combination of both? Does it still make sense to charge some sort of “sitting fee” and require them to purchase X number of images? Just curious what you think is a good, yet simple method for this type of work. Thank you! Good question. For seniors I think a sitting fee that covers your time, expenses and post-production is still a good way to go. In a way you are using per-image with the reprints. Reprints are still a big part of that part of the industry. However, if you did go strictly per image, I’d offer select post-production digital files (10-15) for download and be done with it. I would still require a sitting fee and give them credit toward file purchases. Say three files for $150 and $35 for each additional file. Do the math do see what makes sense. Of course, the downside is if they use poor labs for reprints, it could cause grief. I do like the online ordering systems. I use Photoshelter for reprints and downloads. That makes sense, and sounds like a decent way to go – charge a sitting fee of whatever number works, and that fee includes x number of digital files period, their choice. Any additional digital files they wish to have, they need to purchase for $X. Hard copy prints are still an extra option, and they can do that through me, (at a competitive price) or go where-ever they want, understanding I’m not responsible for the print quality. I’m almost doing things this way, I’m just pretty flexible, since I’ve mostly worked with friends. Now I need to pin things down and outline things a little more exactly. Thanks for the great article, and the feedback! Sounds like you have a good handle on it. Hey Rosh great article. I do landscape photography. How do I start selling my prints? My friends tell me I should sell them where do I start? Start with a Website. I recommend you work on developing an email list and a social media community around your work. Here’s a little about me: After 35 years of jewelry designing and lost-wax casting, including world traveling, I have returned to my first love, oil painting and photography. In the commercial world. The price is for the digital file, done deal. In the retail world (family photography), you have options. Sell the digital file only, usually less than commercial rates. Or you can offer additional services such as prints and printed products. There is always a danger when the client prints your images on their own. I like the thinking behind Sue’s husband. I find it hard to explain to friends that a session costs a sitting fee. If the client doesn’t end up buying any photos for any reason (they don’t like it, they change their mind, their partner disagrees, etc. ), they end up spending $150+ for a sitting fee and getting nothing in return. It makes sense when you think of the photographer’s perspective, in that he/she spends time to do the shoot, but still hard to get your head around it if you’re the client, in a way being asked to pay for sitting at the bar before you order any drinks, in Sue’s example. I like some of the creative approaches mentioned here that suggest giving a certain number of prints/files along with the sitting fee and charging for any extra prints/files. Yes in a perfect world i agree with Sue’s husband, but don’t forget it is not uncommon for upscale bars or those with entertainment to charge a cover just to get in the door! Every business is different. Consider the Million Dollar Photographer is marketing on some of the most expensive streets in America. His clients are expecting to spend more. It would be an insult for him to charge a session fee. He is not selling $30 dollar 8×10’s. So based on your market area, client expectations, studio or no studio, your sales expertise etc. all determine your pricing structure and yes a session fee is part of the consideration. Good points. Thanks for the input. I like the idea of per-image pricing and can definitely see the benefits. At the minute I’m in the middle of reviewing my pricing strategy so your article is very timely, thanks! I did, however, feel a little uncomfortable about some aspects of setting a per-image price based on someone’s budget – you mention in one of the answers above “If you know the client has a $500 budget and wants three images, charge $165 per image”. if I’m understanding this correctly, if their budget is $500 and they need 3 images, the cost per image is $165; but if the next client that calls has a budget of $1000 and needs 3 images, does that mean the cost per image is $333? Perhaps I’ve picked that up wrong, but if not, it seems rather ad-hoc. I would also be concerned that two clients compare notes and the one who paid double what the other paid will feel ripped off. Hope you can clarify this point for me! Thanks again for a great and very helpful article. Your concern is fair. However, generally, if the client is a little below my rate, I’ll use this method. Ultimately, it’s just another tool for pricing in your toolbox. Have you ever been faced with a situation where one client has cited what another was charged? There are situations where I see how it can happen. For example, in the interior design community, I’ll keep my rate as consistent as possible because it is a tight community. Actually, happening. It’s rare. You need to know your client. Use the question as a qualifying question. I do Headshots, and would never ask about budget. On the other hand, I do food and product and usually ask what their budget is. It allows me to educate and prepare them for reality. Family photography is another area I would not ask about budget, but wedding photography I would. That simple question can help you in so many ways! Absolutely. Every client, person and business is different. It also depends on how and when you ask the question. Median photographer wage in the US is $28,000 a year or $13/hour. For an industry with extremely low barriers to entry and no formal educational requirements, these yearly blog posts are really wishful thinking. Those numbers are based on government data. I know a lot of photographers, including myself, that make much more. Thanks again for a great write up. I follow this every year. You are approached by a client. You ask them about how many images they need and get a response of about 20, but they do not provide a budget. Internally they assume it’s an easy day job of shooting candid/semi-directed shots of the students in their school, which will probably not cost much more than $750 and they can get more photos than they absolutely need, but they don’t tell you this. Your calculations tell you that your daily income should be about $1500 per day, so you tell your client it will be $75 per image. When seeing this figure they realize 20 pics will be double their budget. Again internally they decide to still work with you but stick to their budget at the end of the day after the shoot. So they end up buying only 10 images and you get only a half of your functional day rate. How can we avoid such an outcome? Or in the same scenario, if you had asked what their budget is and they told you $750 how would you respond? Would you say it would be enough for about 10 pics? I guess where I am trying to get is to see if it can be risky to calculate your per-image rate based on client’s budget or the number of photos they need, rather than also adding into the calculation how complicated the images will be for you to create. Is it really a consistent way to calculate prices? What if a similar client comes along who also wants 3 images but has a budget of $1000? Would you simply charge $330 for the second client? Is this not inconsistent and risky in the case that the two clients talk to each other? How to avoid such situations? If a client is a little lower than my standard rate, I’ll do the division option. It’s just one tool to help set up a per image price and get the job. When you place the risk on you, you will lose sometimes. However, I tend to earn more than I lose. Yes, if their budget is half, I might let them know I can do 10 or 15 for that price. However, if they still need 20, I might out of luck. It happens. Still, the system generally works in my favor. For example, A client who hired me to take 25 images, just ordered 50. Last week a client who hired me for two images, bought 3. In the last year, I’ve only had two clients purchase less than expected. One way to handle this would be to limit the usage of the images. If they only have a budget of $165/image then the license would be limited to only one year use or limit the geographic and/or media types. Great article Rosh! I hope more photographers adopt the per image licensing fee approach. I feel it’s the only method that is fair to both us and the client. After all, as we gain experience and become more efficient in creating our images…shouldn’t we be earning more money? An hourly rate or day rate would mean that we would be earning less for our efforts. In my opinion the only time hourly or day rate works is for event photography. I agree. Thank you for your comments. he was talking about "extremists". You can rest assured he will sell out for the sake of power. A candidate who is hungry for power is not a good candidate for conservatives. He will compromise. I agree with Knish, we do not as yet have a good candidate. Palin will be a sure route to defeat. Maybe Trump, at least he can't be bought, but then again, he doesn't have much to offer that is different. We need a miracle. But that is not impossible. Thank you SOO much for a BRILLIANT and informative article and taking the time – as an emerging professional moving into industrial photography combining my love of photography with 20yrs experience in heavy industry and health and safety – this was super helpful. We are “industrial pictures” out of Perth, Western Australia and I really appreciate your help – my pricing plans are not too far off your suggestions and you’ve helped me feel better about my estimates. Great article. I’ll be sure to pass it on to some newbies. I’ve become fond of the per picture pricing method, usually with a minimum purchase attached. As I do a lot of interiors (hotels, cruise ships), that works out well. But here is a new wrinkle in pricing. Increasingly, I’m asked to do video on the same shoot as the stills. Often this is for aerial work. I’ve gotten pretty comfortable pricing still photography, but video is another animal, especially, when I’m already on site, shooting stills. I shoot the video with a real pretty high end video camera, not a DSLR. Any input about how to charge for video, both as an add-on to stills, and as a stand-alone service? How often do you spend more than one hour to take one picture? Your pricing structure appears to be geared for those that use the same technique for every picture and implies that all pictures are created equal. That may be the case for the volume based business but your pricing strategy just doesn’t work for the vision based image makers. Per image does not have a set fee. Based on experience, use and production of some jobs might take six hours to create 10 images, I may charge, for example, $200 per image. Some jobs, take an entire day to create two images. Actually, this is rather common with some of my clients. In that case I might charge, for example, $1200 per image. If I know that I have a lot of post production for a specific type of assignment, I’ll make sure I add that cost into the per image price. It is up to your experience, budgeting and cost of doing business to develop the correct price. In some cases it is best to offer a project rate. Or per hour, in the case of events. Hi. I have a question about pricing real-estate photography. It is a quick in and out business and a lot of realtors shoot their own stuff with an I-phone. How would you price something like that? I have been doing architectural photography for several years for the firm I worked for. Now that I am retired, I thought I would branch out to the real-estate market as well as the architectural market. I live in the Boston area. As you mentioned, real estate is a volume business. The same rules apply. Find range ($25-$75 is normal for that arena) you think will work with in your market. A rate that covers your cost of doing business etc. Offer a per image price that covers most agent/companies needs. If its a bigger project or when you do a really good job, you will earn a bonus. This is very appreciated. You are the only one online spend so much time writing these information. Let’s say I am a food photographer with pretty good skill. If I only want to target average restaurant/bar in New York. What would be a good price per image. $75-150 per image? I would work on the higher end of the scale in New York. $200 per image would be my low starting point in such a location. One of the most informative and helpful articles I have read in a while, thank you very much. Perhaps you can assist me on how to price images that have been requested by a tourism company to use for merchandise and souvenirs eg- calendars, postcards, coasters etc. Do I sell the rights or give them exclusive rights for 2 -3 years? I am a little bit lost. Thanks for your help greatly! Ask how long they plan to use the images, and create a rights package around that number. They only really need to buy the copyright if they plan to resell your photographs. Really？Usually like portrait, wedding. Your packaging include certain number of retouched photos. but if client want more, you charge extra for retouch. There are many ways to approach event photography. Hourly is not a bad option for events. However, you should consider editing. When I develop an hourly rate, I include editing time. I then let the client know that editing is included. This adds value to the rate I’m proposing. Thanks for the information Rosh! This information was very helpful to me as I continue to grow my Cline Design business. At the end of month I will be attending my first show in downtown Menomonee Falls where I will be selling my photography on canvas’s as well as making a list for those who would like to buy a 2 year calendar I am currently designing that includes my photography of Menomonee Falls, WI. Thank you for your comment Jon. Good luck at the show! Hi Rosh. As a startup fashion photographer what business model can I use and how much should I charge? – I do all the research, location hunt, briefing. The works. – My wife is a professional makeup / hair stylist. She covers me there. – I do all the retouch myself (until I find someone that’s in the same page as me concerning retouching) but would be willing to pay for a third party if I get short on time. – I plan to invest in upgrading equipment, apart from this part of the budget, repairs/maintenance should be there too in the final price. My formula would be: Pre-production/admin (hours invested) + transport expenses (metro, taxi, train tickets) + price per number of images + retouch rate per image (hours per image) + makeup/hair + marketing + rental/repairs/new equipment = How do I break in percentage or actual price each one? This part is always complicated, and mostly because there are few photography schools teaching the business part of things. In the case of fashion, you do have a lot of expenses, especially models. I highly recommend per image pricing, however, make sure your base expenses are covered. Thanks for writing this article, very informative. I do have a question though. Does your per-image pricing include the cost of printing, or does it sit on top of the printing cost? I’m honestly a newbie, but I am trying to venture into making some money on the side with photography. No, in most cases I will separate printing, unless they have specific request ahead of time – such as 1 – 8×10 for each selected photo. Good question, thank you for your comment. I often get very frustrated that when I arrive to shoot interiors, the client hasn’t prepared the space, its untidy or key elements to doing a good job are missing. How do you deal with that scenario when you are facing selling what would be less than great images back to the client on a per image basis ? Excellent question; not an easy one. However, hourly or per image, it would be the same result photographically. If the space can’t be photographed in its current condition, you might reschedule. If you can’t reschedule — I may request, due to the situation, a minimum number of purchased images guarantee. Another option is to send a “working with” document, which lays out your needs for a successful photography assignment ahead of time. I’m approaching 4 leads today and for the first time i’m going to quote per image with a minimum purchase, so thanks for your articles. They have given me the confidence to try it out. I suppose the scenario I’ve described is just part of the “rough and tumble” of this kind of approach. I am a young (19) learning photographer. I charge about $75 for senior photos and 2-4 people family photos. I have recently been asked to shoot a family of 10 with 3 children under 6. How much should I be charging for such photo shoots? First, I would like to say ‘What a fantastic resource you are’, and this website is amazing. I am making a career change from the corporate world to that of a commercial real estate, interior design photography. Based on your comments throughout this post, charging a per image price seems to be the best way forward (?). I have been shooting for a couple of years as a hobbyist and don’t have a portfolio as yet, I’m working on it. Could you recommend a starting point with regards to pricing per image for a photoshoot for a place of business? p.s I am in Sydney, Australia ( i understand the rates maybe different). Hi Rosh, I gotta hand it to you, it’s great to see an article written with a focus on female pronouns! It’s the little things but a real positive. Great article! I see your website needs some fresh & unique articles. Writing manually is time consuming, but there is tool for this task. This is an excellent article! Very informative. I was wondering how you would handle this scenario. Let’s say a new coffee shop is building a new website and need photography of their shop to use throughout their site. For the per-image pricing you have above, are those ranges for licensing to use the images? Do you normally set a time limit on licensing? Would it be uncommon for me to say charge for using my photography for their website for, let’s say, 2 years and then afterwards, would I approach them to renew their license or ask them to stop using my photos? Or do companies expect lifetime (unlimited) licenses so that they can keep my photography in their website design for as long as their site is up or until they redesign? Great article! I’m going to adopt your recommendations, they make total sense. I have a question about website use. Do you rely on the client to tell you how many page views they get, or do you need to monitor their site traffic with Google Analytics or a similar service? Do you place a time frame around their traffic, like up to 10,000 views a year? Or are user views based on how long they plan to use the image, or a number of views for the life of the website? Good stuff — thanks for the article. Would you adjust the per-image price at all in a case like sports photography where I’ve got images from a bunch of competitors already? Yes, Sports photography might find more under the event option. I just had a national mortgage company (not all states, but several) request a quote to photograph 5 business professionals from my local office. They intend to use the images for print ads, digital ads, billboards, flyers, postcards, etc. I sent them a quote that was actually too low in my professional opinion, but being my first official commercial quote it is hard to adjust to charging the right prices. I was only going to charge $1000 per image for a year of usage on the outlets mentioned above. She came back and said my quote was way more than they wanted to spend and they typically only spend $100 per photo. SHOCK! Is there really a professional out there that would sell their images for all of these uses for only $100 each? Did I go wrong in my quote? Thank you for this post! Pricing has been an area of angst for me as a photographer transitioning from semi-pro to professional. Your post is valuable as it has concrete examples and reasoning that makes sense. I’ve recently been asked to do a fund-raising calendar for a small non-profit that I believe in. They have a small budget. The days of doing shoots for free is over for me. However, if I do any in-kind shoots I give a budget and add the in-kind services I’m willing to offer. I haven’t been down this road before. Any suggestions for how to create a pricing structure in this case (maybe starting with how you would charge if it was for a non-charity). Thank you in advance. I”m not sure I can create a pricing structure for you. You understand your costs better. However, if you have a small client like a charity, there is nothing wrong with starting around $25 per image. It also depends on the distribution. There is a difference between a 500 and 25,000 print run calendar. Got some great ideas in your post. I’m running a SEO and SPY group buy service. I think you will be interested in this service which can save you a lot. We have PROMO price currently which is limited for the next 20 customers only! Do not reply to this message, email is not monitored. This drives me nuts. It is “he” or “they” for a generic person. Not she. Is it really that big of a deal?